Guardians of the Galaxy On Blu-ray + 3D Blu-ray + Digital HD ONLY $19.99 + FREE Prime Shipping (Reg. $40)! 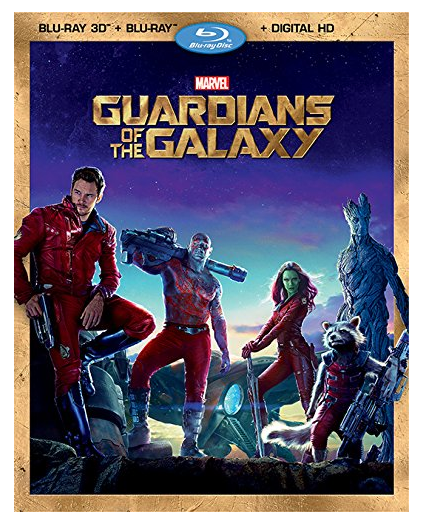 You are here: Home / Great Deals / Amazon Deals / Guardians of the Galaxy On Blu-ray + 3D Blu-ray + Digital HD ONLY $19.99 + FREE Prime Shipping (Reg. $40)! WOW! Hurry and grab a copy of Guardians of the Galaxy On Blu-ray + 3D Blu-ray + Digital HD for ONLY $19.99 (Reg. $40)! This is an AMAZING deal for this combo pack (and the other versions are sold out on Amazon right now)! This will arrive before Christmas!